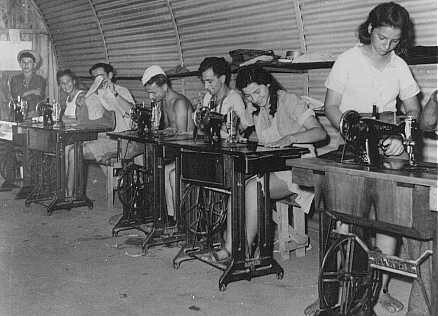 Jewish refugee youths, prevented by the British from landing in Palestine, learn sewing at a detention camp. The machines were provided by the American Jewish Joint Distribution Committee (JDC). 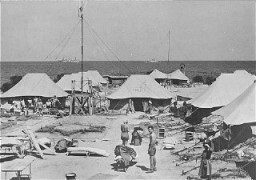 Cyprus, 1947.